Enable delay for writing to database. 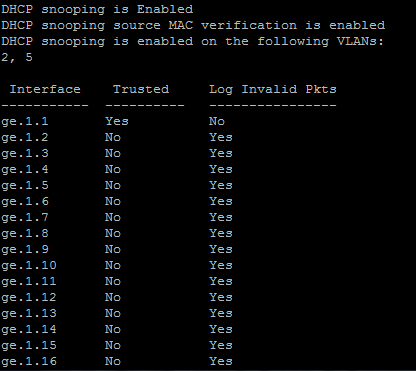 Enable dhcp snooping on vlans. Set “trust” ports,e.g.ports where dhcp server is connected,trunk connections between switches,etc.By default all ports are “untrust”. 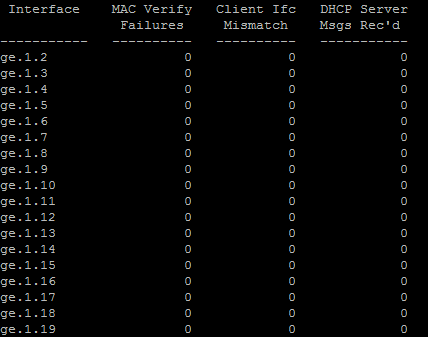 Show relation between: ip,mac address,vlan,ports and lease.